Photos into Beautiful Canvas Prints! Everyone likes to see an enhanced and enlarged version of their picture; using photo canvas creates an exceptional image for your pictures. Photos on canvas are considered to be a creative and unique gift idea when you want to surprise your loved ones. Artistic photo canvas looks incredible and beautiful when your photos are printed on this material. 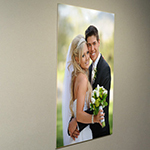 We also provide our clients with 20x24" wedding photo canvas with the very best price. Get our 20x24" graduation day photo canvas and turn your big day into a great memory for you and your loved ones. A durable photo canvas can be used as long as you want. Photo canvas artwork is not that easy for everyone; only a well trained team can give the very best. Canvas prints from photos can be done without any delay. We digitally print the photo, and then transfer in onto a photo canvas. Photo canvas printing has always been a highly demanded item. 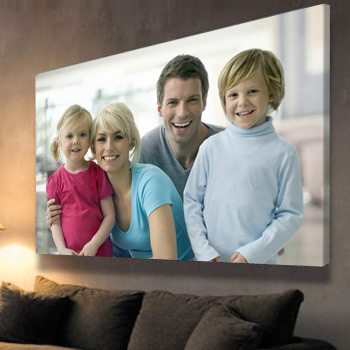 Bring memories to life with our most popular 48x12" gallery wrap photo canvas. You can choose traditional photo prints to transfer onto canvas with our professional team. The photo canvas can also be used as a gift for an anniversary, 20x24" birthday photo canvas printing and other happy occasion by utilizing our best pop art canvas with your unique photo canvas designs to show someone that you really care. Creative photo canvas printing is a way of showing someone that you cherish your time spent with them; through a photo canvas, you can hold onto a moment forever. We are the best company in New York photo canvas printing. Any of our products, from 3.5x2 business card for law offices to the large format auto vinyl lettering printing, ourcustomers can trust with us. Our Long Island photo canvas printing provides the best look for your photo. Printing Xpert works according to the customer needs and printing exquisite photos on canvas is what our customers demand. 20 mil 100% cotton artist inkjet canvas with all of the natural texture preferred by many producers’ fine art canvas reproductions. 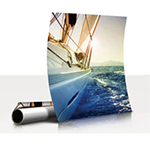 20mil material used for canvas is a standard and durable material for photo canvas. The photo on canvas will be printed in full color. By transferring your product photos onto canvas, you will be given a great opportunity to promote your business. After transferring your information and photos on the canvas, you can place your canvas on certain places where hundreds or thousands of visitors can see daily, such as hospitals, banks, malls, gyms, or even popular coffee shops or local hang outs around the city. Get yourself into the "in-crowd" because networking is vital to the success of your photography and your business. You can network in so many ways, and each way can be a fun and exciting method of ensuring that you get your name and business out there. We are dedicated to giving you the best quality, faster than other print shops, with unbeatable canvas print prices shipped anywhere in the USA. Using the highest quality canvas and the best print technology, we create breathtaking photos printed on canvas that can last a lifetime. 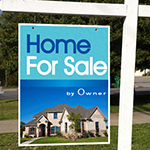 We provide a one-stop canvas printing service to professional digital artists, photographers and interior decorators. If you require specific color value, saturation or size preference for your canvas print, contact us to arrange an obligation-free canvas printing consultation. Our print on canvas service includes custom size canvas prints, stretching, hanging, finishing and freight. All of our canvases are ready-to-hang, meaning they are stretched around a frame with a hanging cord on the back. We have scoured the globe to find the best materials for your canvas art prints at the lowest price and have brought them together for you to take advantage of. We ship directly to your door, with ready-to-hang canvases. My husband gave me a surprise by printing our wedding photo on canvas from printingxpert. I loved the printing and canvas quality! it looks awesome. The canvas job looks excellent! I wish you good luck for providing such a great quality! What type of printing material do you use for the photo canvas printing? We use 20 mil 100% cotton artist inkjet canvas. The coating is designed for UV inks which will make the photo canvas last a long time. 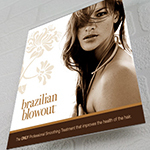 We offer full color printing on photo Canvas. Stretched Canvas Prints VS. Rolled Canvas Prints Tradition and modern technology have met to bring you an exclusive creation – a hybrid of photographs and canvas, turning your work into true artwork with stretched canvas prints. Much longer life, the perfect look and a chance to enjoy your favorite pictures or paintings scanned, printed and displayed in your home or given as a gift, make this technology an exciting invention to take advantage of. There are two types of canvas print, rolled or stretched and each of them has pros and cons. What is Stretched and What is Rolled Canvas? All canvas prints are stretched, in order to be displayed. A rolled canvas print is a normal print before it is stretched over a “stretcher bar” - a thin wooden frame, to which the canvas is stapled to. Then, it may be framed or just left as it is with the stretcher bar with a basic, exhibition-like look. The main difference is that purchasing a rolled canvas print means you have to stretch it yourself, which is what most people like to do. Why Would you Prefer a Rolled Canvas Print? First reason is because it is cheaper. You receive your artwork in the form of a roll and take care of the stretching and framing yourself. If you are planning to purchase online, keep in mind that shippers are not always delicate and a stretcher bar is dainty. A third reason to think of is that it is better for canvas when the stretcher is also a framer, if you plan on framing your artwork. Why Would You Prefer a Stretched Canvas Print? When the printing company that has produced your print stretches it, chances are lower that the paint will get damaged, compared to if you decide to do it yourself or find a cheaper stretcher. There are differences in the quality of the image as well. Stretched prints have more perfection, images are brighter and sharper. They are also better than rolled prints when speaking about sizes and dimensions. Stretched prints are less likely to be vulnerable to dust and damages.